I'm on day 2 of my 150 rentals and the AVG has skyrocketed from 3 and 4 AVG to 7+ and 8+ AVG. Also i already have $1.75+ in my account in only my 2nd day with rentals. how is it going? u continued the investment? 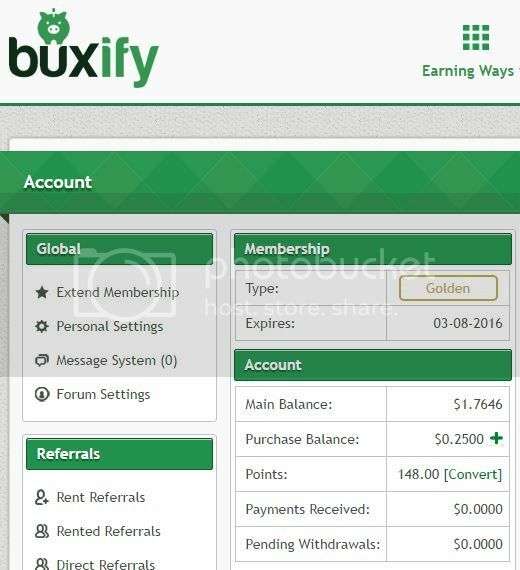 BuxIfy is a Scam PTC now, no information form admin and there are no new payment proofs.